Resveratrol for Your Lips? Oui, s’il vous plaît! 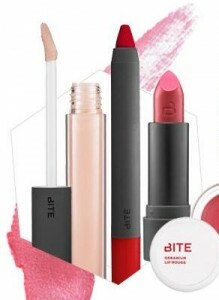 Check out this new discovery I’ve made: Bite lip products that deliver super antioxidant resveratrol (note: major nerd alert if you click on the resveratrol link), which fights free radicals with potent long-term antiaging benefits. Each lipstick contains the amount of resveratrol found in five glasses of red wine. These products are free of synthetics, polybutenes, and petroleum byproducts and made exclusively with lip nurturing food-grade ingredients that are healthy enough to eat. So, I say treat your lips to something that until now, only your palate has truly enjoyed. I LOVE that the shades represent great varietals – look for Rhone, Cava, Granache, Barolo, Carmenere, Cassis, Zin and more! Sport these shades this week at Culinaria San Antonio! Previous Previous post: Join me at this week’s San Antonio Wine Tastings!